Canara HSBC Oriental Bank of Commerce Life Insurance Guaranteed Income Plan is a non-par, non linked guaranteed income plan which offers different cash back payouts at different stages of life depending on the individual financial needs of the customer. 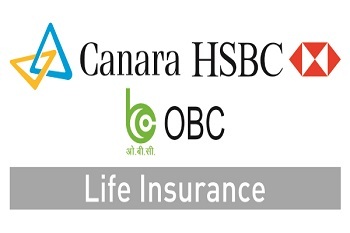 Canara HSBC Oriental Bank of Commerce Life Insurance Company strengthens its traditional product portfolio with launch of Guaranteed Income Plan, which offers guaranteed benefits so that one can fulfill their dreams. Canara HSBC Oriental Bank of Commerce Life Insurance Guaranteed Income Plan is a non-par, non linked guaranteed income plan which offers different cash back payouts at different stages of life depending on the individual financial needs of the customer. Anuj Mathur, Managing Director & Chief Executive Officer, Canara HSBC Oriental Bank of Commerce Life Insurance Company Limited said, "Guaranteed Income Plan is our second product after Guaranteed Savings Plan which was launched in Q3FY19. Both our insurance products are designed to offer long term benefits with regular guaranteed income, one-time payout survival benefits and sum assured in case of any untoward eventuality. As we move towards different life stages in our life, we all need an insurance plan that secures one's life and allows saving as per the requirement to reach the objectives. Our Guaranteed Income plan comes with enhanced protection option which provides complete freedom to the customers for taking informed decisions basis their changing life stage needs and future goals." • Better Value For Higher Premium: High Premium Booster to ensure that you get extra benefit for making a higher premium commitment.